Wither God mod adds the most dangerous creature in the MCPE 0.16.0. This creature can destroy everything in its path. 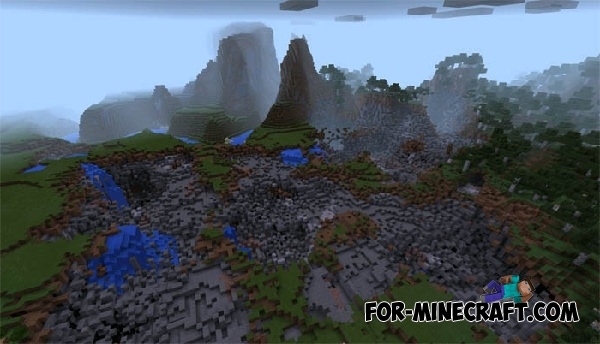 Before you download this mod, be sure to save your worlds. Otherwise buildings will be swept away as though a tornado has passed. Use the same items and the usual spawn scheme (as shown in the screenshot). Then just run where you can. Or if you're in creative mode, you will just have to enjoy the destruction all around. After a few minutes an amazing picture will open in front of you. In survival, you can't hide from it, the strongest building or bunker will not save you from death. Copy the "for behavior" to the behavior packs folder, then copy the "resources for wither" on the resource packs folder. Create a world then apply the two resources to the game. Tornado mod for Minecraft PE 0.15.0/0.15.9Tornado mod adds a new deadly weather phenomenon in MCPE. By installing it, you will be in mortal danger..